This is a sponsored post written by me on behalf of Genesis Bows. All opinions are 100% mine. The first thing we did was to visit the Genesis website to use the Genesis Build-a-Bow feature. 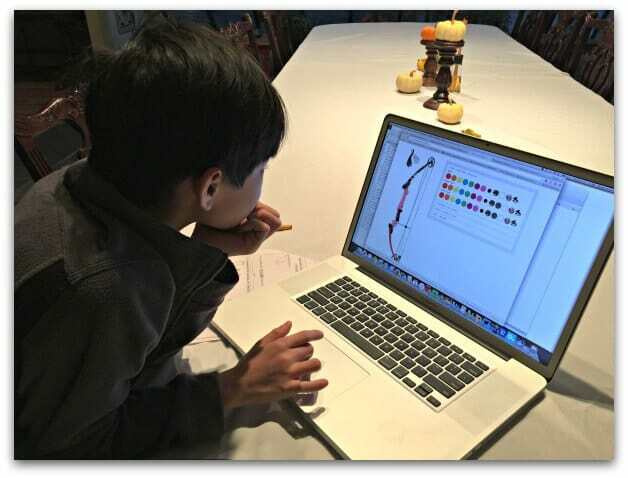 Here you can customize absolutely everything about your bow-starting with whether you want a left-handed bow or a right-handed bow (Alex is a leftie!). You choose the colors and/or the patterns of every single part of the bow- including the strings. For a child who receives so many hand-me-down clothes, toys, and games- it was really awesome having him design something that would be uniquely his. For a completely custom-made product, I was surprised when it arrived in less than a week. And even though Alex designed every detail about his bow, he was still pretty thrilled to see it in person! 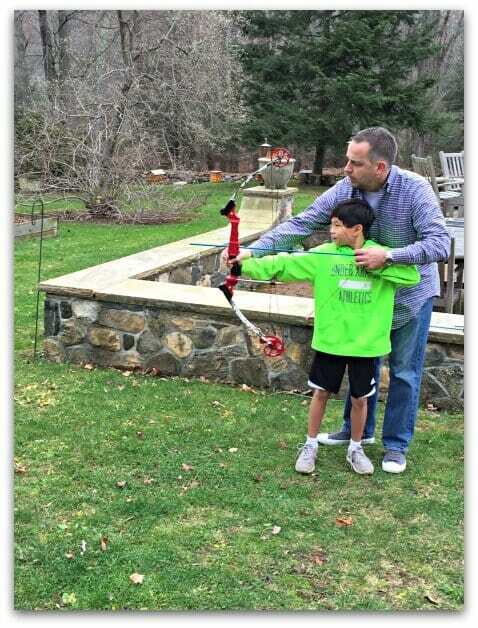 My husband loved archery as a kid, so he was happy to get Alex started on a sport that he loved! 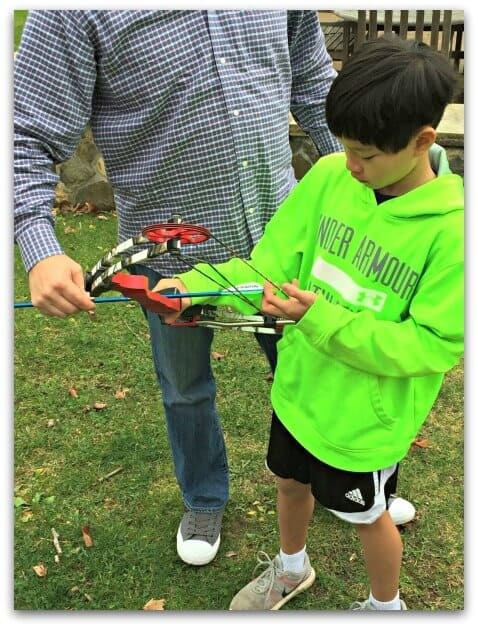 He showed him how to load his arrow properly and how to draw the bow and send the arrow flying towards the target. Genesis bows are designed with zero let-off to accommodate draw lengths from 15” to 30”, allowing archers of all ages, sizes and athletic abilities to shoot the same bow without adjustment. 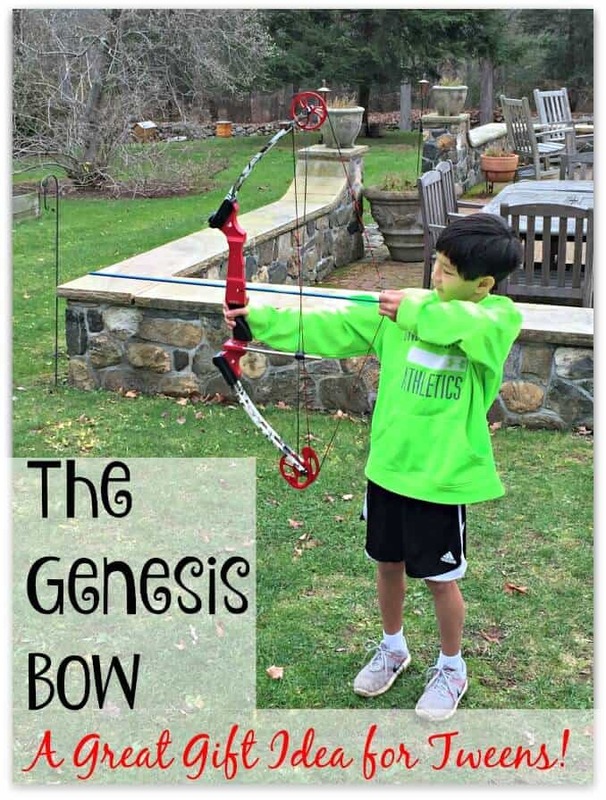 And the Genesis bow is designed to shoot like a more powerful bow- so if kids can aim well, they'll be able to get the arrow to stick into the target, rather than have it just bounce off. 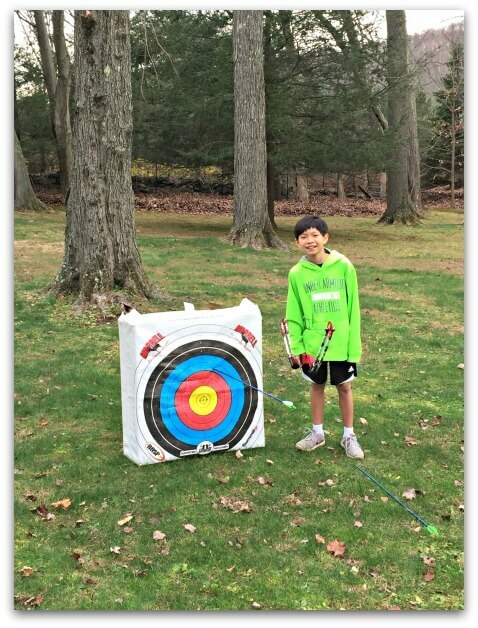 If your school has an archery program as part of physical education, or even an archery club, your kids might already be familiar with Genesis bows. The Genesis Original is the official bow of the National Archery in the Schools (NASP®), and is used in over 13,000 schools by over 2 million kids across the U.S. every year. 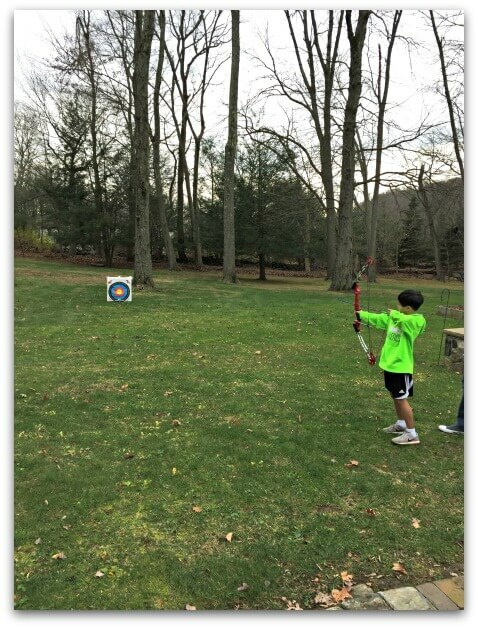 Since the organization was founded in 2002, NASP has made the sport of archery fun, engaging and extremely safe and has maintained a zero archery-related injury record. This was literally his third shot! This was a total win for Alex! A sport that he has a genuine interest in, and custom equipment designed by him! You can learn more about Genesis Bows on their website or Genesis Archery on YouTube. 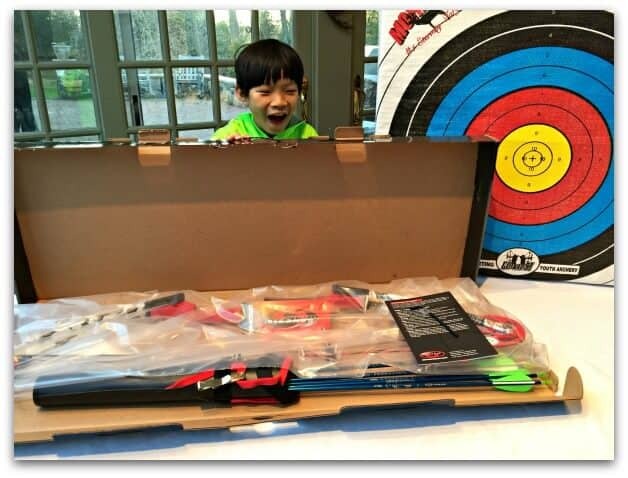 So- how would you like to win a custom-designed Genesis bow for your own child? Giveaway ends at midnight on Friday December 4th! « My 10 Best Black Friday Shopping Tips! My 12 year old daughter started with a very cheap bow last year and loves it but needs something with better quality like the Genesis. We have a very nice 3D range nearby. The Genesis bow is truly outstanding! I am sure your daughter would love it!